Pumpkin, Chocolate, and Brie Grilled Cheese-this sandwich is pure decadence! I have one word for this grilled cheese sandwich, WOW! Yes, all of the letters need to be capitalized. 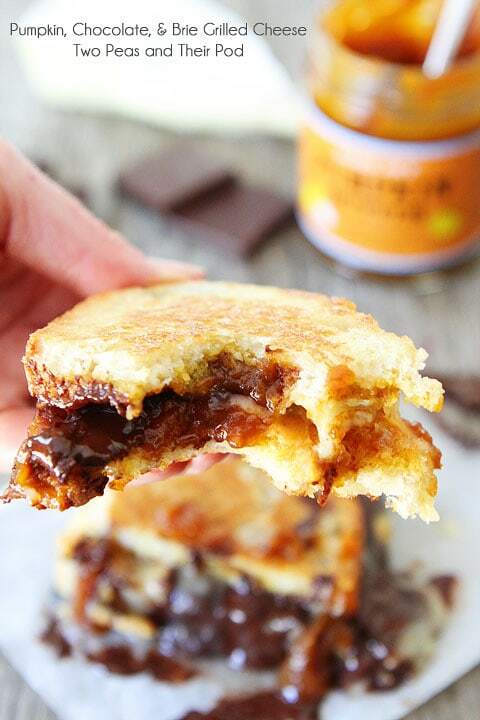 This Pumpkin, Chocolate, and Brie Grilled Cheese Sandwich is out of this world. I can’t even begin to tell you how decadent and divine it is. When I dreamt up the combination in my head I had a feeling it would be good, but good is a major understatement. I took one bite and I almost fainted it was so good. 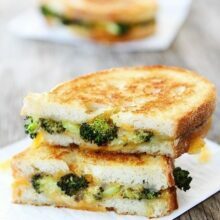 This grilled cheese sandwich is heavenly! I am blaming this sandwich on Trader Joe’s. We stopped at Trader Joe’s for a few items-coconut oil, dried mangoes, and sweet potato tortilla chips. I picked up my staples and headed to the checkout line. In the corner of my eye I spotted a display of pumpkin butter. I wandered over to the stack of jars and added a jar to my basket. I needed it! I could easily eat pumpkin butter straight from the jar, but I wanted to create something fabulous with it. When the idea for a grilled cheese popped in my head, I ran with it. The pumpkin butter is sweet so I decided to create a dessert grilled cheese. I am always in the mood for dessert! 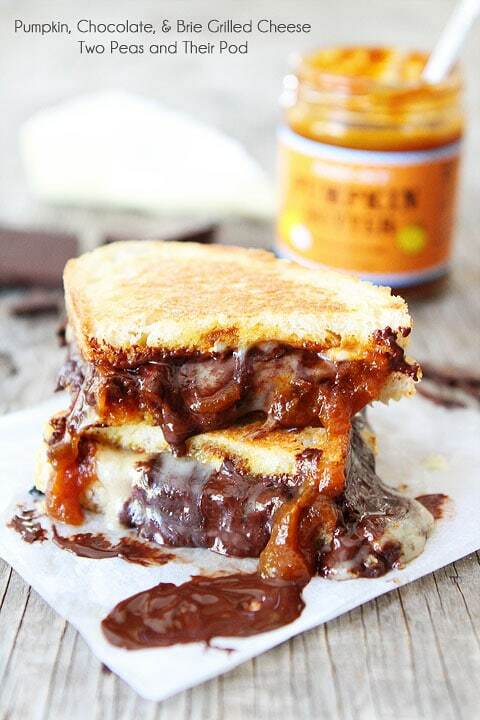 The triple threat combination is pumpkin butter, chocolate, and brie. These three ingredients were born to be together. Trust me on this one. I LOVE pumpkin and chocolate together and adding brie is always a good idea. Look at all of that decadence! I may have gotten a little carried away with the chocolate, but I am not sorry. I don’t care that I had chocolate all over my hands and face. This sandwich was soooo worth the mess! I am telling you, it is insanely good! I used dark chocolate, but feel free to use your favorite chocolate. 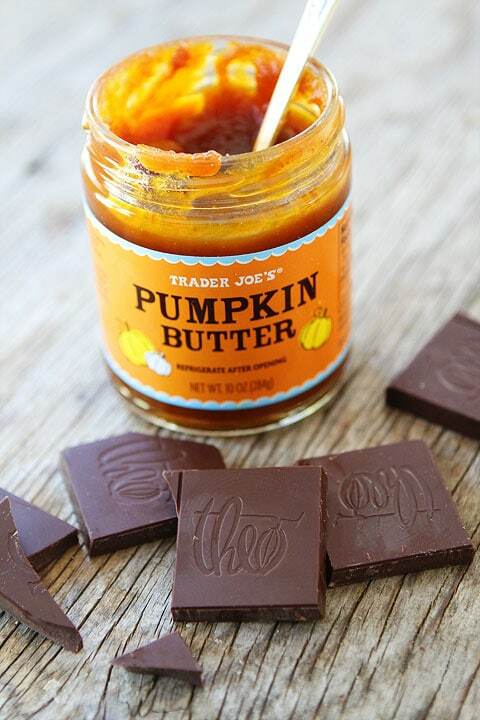 And if you don’t have Trader Joe’s, no worries, you can use another brand of pumpkin butter. Several stores carry pumpkin butter during the fall months. Or you can make your own pumpkin butter. 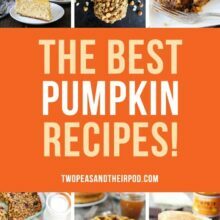 I love this easy pumpkin butter recipe from Skinnytaste. So there are no excuses! You HAVE to make this Pumpkin, Chocolate, and Brie Grilled Cheese Sandwich. And make sure you have someone close by when you take your first bite. You might faint because this sandwich is SO good! 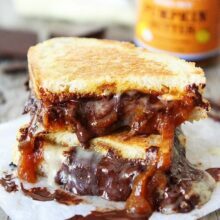 Pumpkin, chocolate, and brie grilled cheese sandwich-get ready for pure decadence! This sandwich is amazing! Evenly spread pumpkin butter on unbuttered sides of the bread. 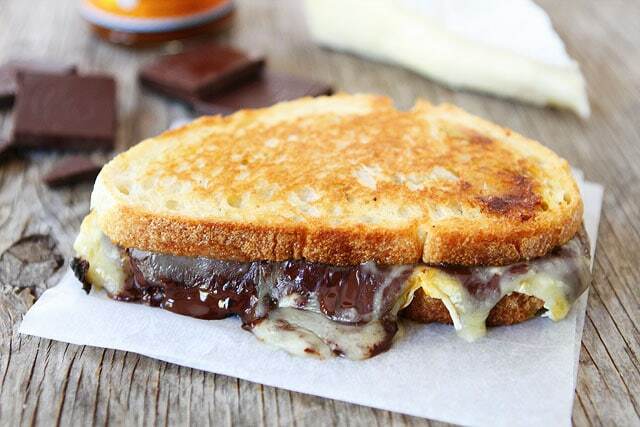 Add slices of brie cheese and pieces of chocolate. Top with remaining slice of buttered bread. Heat a skillet over medium high heat. Place sandwich, butter side down, in pan. Cook for 2 minutes on each side or until lightly toasted and cheese and chocolate melts. Remove from pan and cut sandwich in half, if desired. Serve immediately. Note-I bought pumpkin butter at Trader Joe's. You can use another brand or make your own. I like to use dark chocolate, but feel free to use your favorite! WOW! I understand the need to capitalize that, looks great! I will second your WOW – my mouth literally dropped when I saw this. Brie is my favourite cheese ever, and chocolate is… well, obviously amazing 😀 I’ve nebver tried pumpkin butter (we don’t have it here in the UK!) but it sounds like a great addition. You’ve seriously got me drooling over here!!! I put a PB + brie grilled cheese in my cookbook but no chocolate. You are so smart!! I can only bet this is straight up amazing. Look at these pics – some of my faves ever of yours. Pinned! Holy Crappers! What a sandwich!!! Wow!!! I can only imagine how wonderful it must taste!! I am so drooling right now!! Sweet goodness, this is awesome!! This is incredible! All the oozing brie and chocolate and pumpkin! Just wow! Such an amazing idea! Genius!!! The flavor combinations in this sandwich sound out of this world delicious! Must try! I think this warrants a trip to Trader Joe’s. Like today! 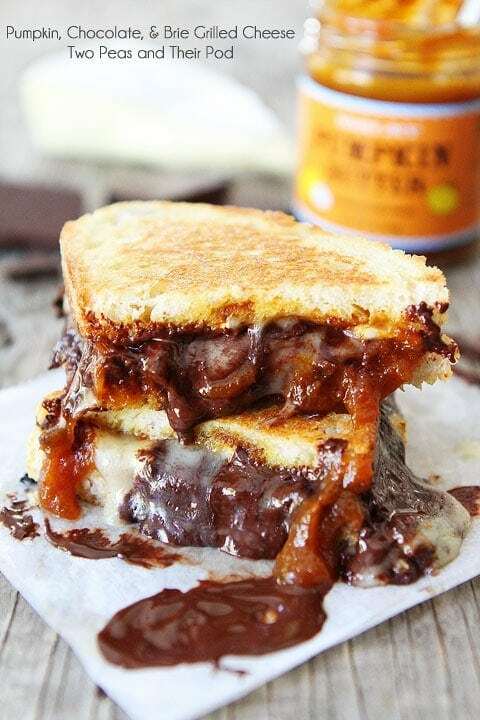 Chocolate and brie work so well in grilled cheese sandwiches and I am definitely going to have to try this one with pumpkin! LOVE this! Pinned to try! Wow is right! That looks like a decadent grilled cheese. It’s dripping chocolatey goodness. I cant even speak. This looks like the best grilled cheese sandwich ever to happen to my belly! I would have NEVER imagined such an interesting flavour combo…hello yummy! OMG! I adore anything pumpkin add chocolate and cheese…yikes can it get any better?!?! I am going to make my own pumpkin butter so thanks for the link. I love your blog and look forward to my daily emails!!!! Thanks for letting us in your kitchen! Now if only samples came with those emails…giggle! OMG! I wanted to dip my finger in the oozing chocolate! Whoa!! Now this is a grilled cheese!! Um…I just died. Saw this on Instagram and died again. Totally making this and soon! One word, EPIC!! I want to lick my screen! What a sandwich, it sounds and looks incredible! Those pictures are making my stomach literally growl! Seriously amazing! Seriously amazing! And a Trader Joes just opened here so I will have to stop by for some Pumpkin Butter. Yum! Whoa x 1,000. This is one tasty-looking grilled cheese! Mercy, that looks fabulous. Will certainly try this. This looks sooo good… the pumpkin chocolate combo is PERFECT! I’m thinking I’ll be having it for lunch tomorrow! But I might try nutella instead of regular chocolate, though? I’m not sure whether to eat this for lunch, dinner, or dessert…maybe all three?! I think I have found my new favorite late night snack!! 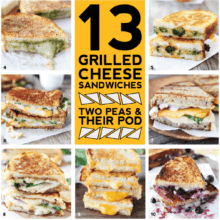 Goodness gracious – best grilled cheese ever! This looks oh so delicious, Maria! Um yeah, this is definitely a WOW sandwich! Looks yummy, I’ll have to try this recipe. My kids will love this. Thanks for sharing. Ooh! Good heavens! My initial reaction was skepticism, but the more I think about it and look at your lovely pictures, I’m convinced. I was thinking about making baked brie wrapped in some kind of rich yeast dough for my Christmas party this year, and now I think I may do it with thick layers of pumpkin butter and chocolate on top and bottom! All I can say is wow! That looks fantastic! This looks absolutely gooey incredible!! I love the combination! This looks like the ultimate Fall grilled cheese!! Love it, Maria. Totally love it!! I cannoooooot stop thinking about thiiiiiiiisssaaaaaa. This looks like one gooey delicious mess!!! Oh my goodness! This looks amazing girl!! Seriously – mind blown on this. Amazing! THIS is a sandwich! I’ve never done the chocolate-cheese combo but I definitely will now. 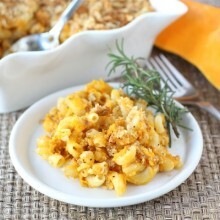 Thanks so much for sharing such a delicious looking recipe! I wanted to let you know, too, that I featured this post on my blog’s Weekend Wrap-Up — I’d love it if you’d stop by, but mostly wanted to let you know that I shared the link to this post with my readers. Enjoy your weekend! I love, love, love Theo chocolate!! The restaurant I used to work at used it in their brownies and chocolate chip cookies which led to constant munching. Man I need to make a trip to the States just to go to Trader Joes. This looks SO good!! This grilled cheese looks so decadent and delicious, Maria! I might have to pick up some of that pumpkin butter during my next trip to TJ’s. Pingback: 8 Reasons To Justify Giving Into Your Chocolate Cravings - Freshwadda Brooks | Coming Soon! OMG! This was the best grilled cheese I ever ate! I had to modify it to the ingredients I had on hand. I used homemade pumpkin bread, plain pureed pumpkin, olive oil spray because I did not have butter, I added coconut butter and used Theo salted almond dark chocolate. The brie was excellent, so soft and gooey. Thank you both big time for posting this extraordinarily yummy sandwich! Pingback: pumpkin, chocolate, & brie grilled cheese. | creativintage.